Southern Fiction is my favorite genre of books. Maybe because it's my favorite place to vacation. Since I live in the South, I love to go to Myrtle Beach and Charleston to relax. Here are three great beach reads that I've recently read that make me ready to pack my car and head to the nearest beach! When Pat Conroy died last year, America, and especially the South, lost one of it's best authors. No one could tell a story like he could. He bared his soul to his readers and shared with us his difficult childhood and the joys and sorrows of his life. He is one of the few authors whose books I re-read every few years and always the author that I mention first when someone asks who my favorite is. I am extremely saddened that readers won't have any more of his books to devour. This little book, published posthumously, is a collection of some of his best blog posts as well as memorial articles from several friends, his wonderful editor Nan Talese and his wife, Cassandra King - also a fantastic author. I laughed and I cried while I was reading it and it's going to go on my shelf with his other books so that I can read it again and again. 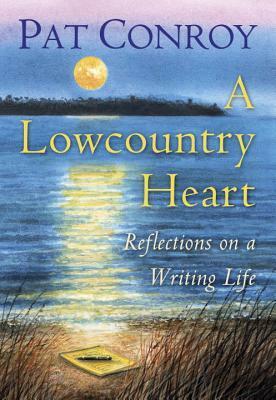 Buy A Lowcountry Heart at Amazon. This delightful book is the third book in the Willow Hill series about Linny and her search for happiness. After being widowed twice, Linny is hoping that her third marriage to Jack will be her happily ever after despite all of the obstacles in their way. Jack has a teenage boy who runs hot and cold with Linny, an ex-wife who feels the need to talk to him daily, a new consulting company just starting up, a mother who is getting ready to go on a big trip with her friends and a sister with a new baby. With all of this going on, how is she ever going to find time to spend with her new husband? As the book begins, Linny and Jack are on their honeymoon on a white water rafting trip. Linny is a people pleaser and even though she would like to be anywhere else, she takes the rafting trip to make Jack happy. They have to cut their honeymoon short because Jack's son is upset and needs them home. So begins the story of Jack and Linny's first year of marriage. The main problem that Linny needs to overcome is whether she can learn to speak her mind and put herself and her marriage first. Will she find her happily ever after with Jack? This is a great series of books and I have enjoyed getting to know the characters - a lot of them are like people that I know. My favorite characters in this book are Linny's mom and her friends and I laughed out loud about some of their experiences on their cross-country camping trip. This is a fun series and I highly recommend it. 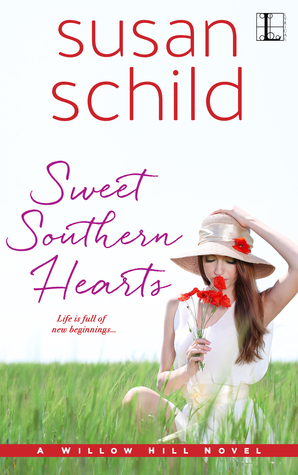 Buy Sweet Southern Hearts at Amazon. This is another wonderful book about the Sweeney sisters but this time it's the story of 16-year-old Annie. Her mother abandoned her as a baby and has just come back into her life and wants to develop a relationship with her. Since Annie is under the guardianship of the family, this creates turmoil for them. As the book begins, Annie (driving too fast on Main Street) is in a bad accident and ends up in the hospital. The ER doctor, also part of the Sweeney family, has to ask her if there is any chance she is pregnant. The answer incites a huge family uproar as they try to make a decision about what Annie and Cooper (her estranged boyfriend) should do. They don't stop to realize that the decision really belongs to Annie and Cooper. Along with the family drama, there is a sub-plot that is very intense. I loved this book and these characters. I hope that there are future books to this series because I enjoyed reading about the lives of the Sweeney family members. There is so much love and drama in this family that the author should be able to add more books to the series. This is book 4 of the Sweeney Sisters series. This is such a convoluted family that you really need to read this series in order to lessen the confusion. 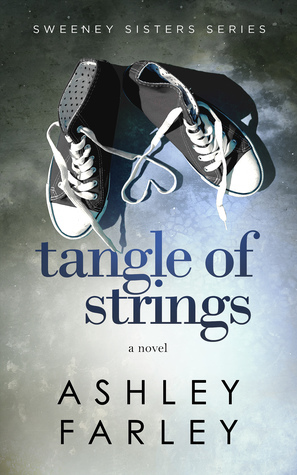 Buy Tangle of Strings at Amazon. You are so right. All of these will be great beach reads!